By Ian Pollard in News and Views on 2nd October 2017 . 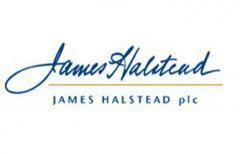 James Halstead plc JHD The year to the 30th June again produced record turnover and profits and saw the final dividend increased to record levels with a rise of 8.8%. Revenue rose by 6.5%, profit before tax by 2.5% and earnings per share by 3.5%, achieved despite the uncertainty caused by Brexit and tougher than normal trading conditions. Stanley Gibbons SGI survived another difficult year with turnover falling by 28%. The adjusted loss before tax for the year to 31st March rose from £4.9m to £11.1m.and net asset value fell by a further 48%. Trading has continued to be difficult since the last update on the 9th May. Ashley House ASH Preliminary results are so full of pipeline references that it sounds more like an oil and gas company, than a rather unsuccessful property company specialising in health and community care. The lack of success is of course the governments fault and apparantly nothing to do with the management or the Board. The best claim it can make for the year to the 30th April is that it remained profitable but only just. Revenue fell by 10% and adjusted profit before tax slumped from £1,160,000 to £53,000. On an unadjusted basis the figures were £67,000 compared to £241,000. Angling Direct plc ANG confirms that the conversion of fishing from a hobby, to big business is proceeding apace with the announcement that it has acquired the entire issued share capital of Fosters Fishing Limited for £3.0 million payable in cash. Angling is the largest specialist fishing tackle and equipment retailer in the UK. Fosters on the other hand which trades from a 17,000 sq ft superstore some 3.5 miles from the centre of Birmingham, is one of the largest fishing tackle retailers in Europe and has been in business for over 30 years. It appears that the Fosters who have built the business up are not really required any more by the new management, with Mark Foster remaining for only a few weeks to help the hand over and Richard Foster reduced to working part time in the business.